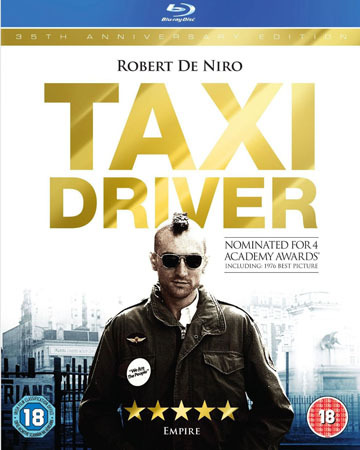 Martin’s Scorsese’s unsettling story of disturbed New York cab driver Travis Bickle (Robert De Niro) is a classic of 70s cinema. 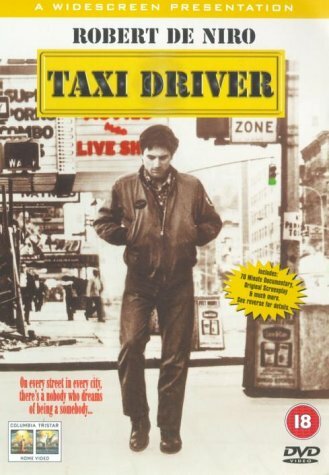 Martin’s Scorsese’s unsettling story of disturbed New York cab driver Travis Bickle (Robert De Niro) is a classic of 70s cinema. Screenwriter Paul Schrader drew on the mythology of 1940s film noir thrillers for this story of Vietnam vet Travis Bickle’s increasingly psychotic disgust at the nocturnal New York street life he observes from his taxi. Brought to vivid life by director Martin Scorsese – then one of Hollywood’s hot-property new filmmakers – the film is one of the 70s’ most strikingly original works. Although the film is evocatively rooted in contemporary New York, Scorsese’s camera dwells on strange expressionistic details – such as the sulphurous, steaming sidewalk and abstract neon signs – that contribute to the film’s hallucinatory, nightmarish quality. Centred on a brilliant performance by Robert De Niro, the grim intensity of Bickle’s avenging mania is framed by Bernard Herrmann’s forceful and occasionally nostalgic score.